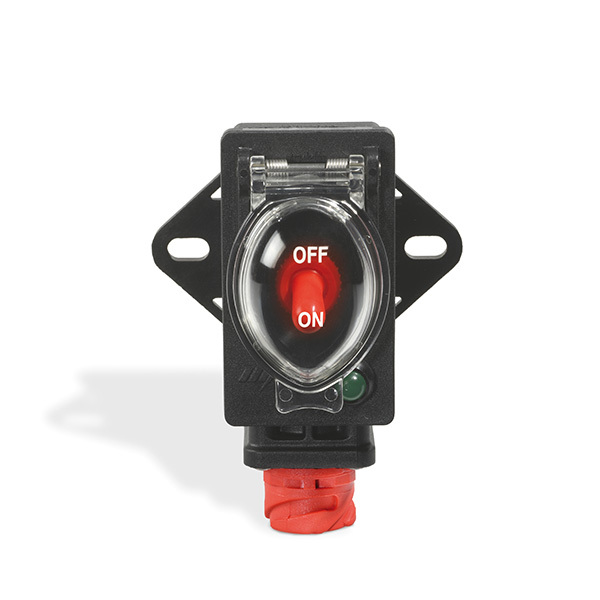 This series of single-pole electronic current isolating switches are specifically designed for ADR equipped vehicles in accordance with ADR regulations on the subject of road transport of dangerous materials. This electronic current isolating switches for ADR are produced in 4 different models: 12V and 24V with negative disconnection, and 12V and 24V with positive disconnection. In the event of a short circuit the device comes into action the electronic control unit detects the drop of voltage and immediately commands the opening of the contacts and the disconnecting of the battery to protect the various electric and electronic devices fitted to the vehicles.